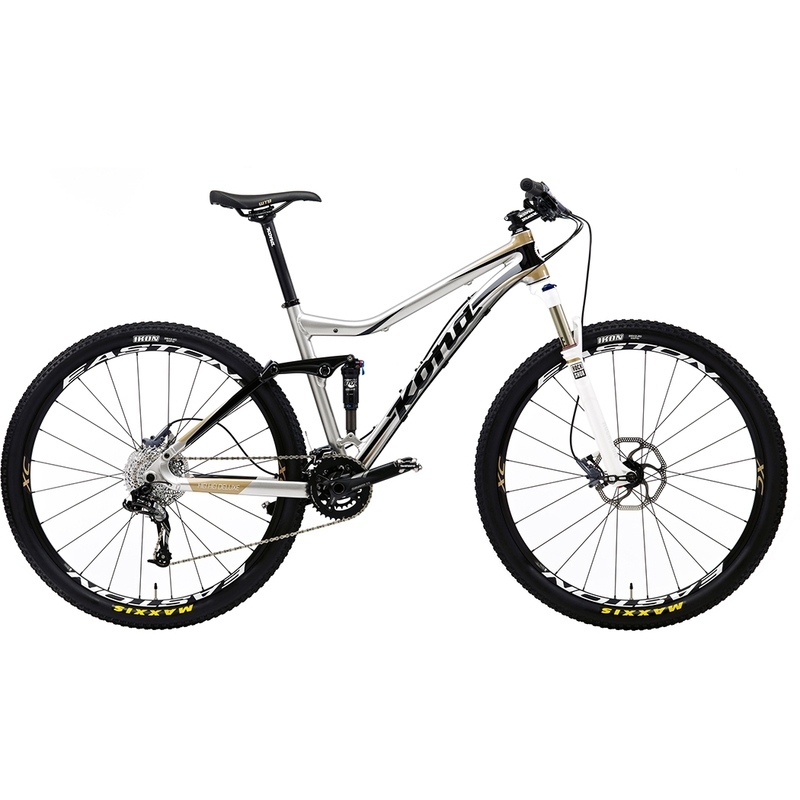 Our staple 29-inch wheel, 100mm XC race bike sees some new refinements for 2013. Designed specifically for elite racers and all-round hammerheads, with race-proven geometry and incredibly light Scandium 6069 tubing, the Hei Hei Deluxe represents our desire to make race-ready bikes at smile-inducing prices. New for 2013, we've completely redesigned the rear triangle with improved tire clearance, increased stiffness, shorter (444mm) chainstays, with a chainstay direct-mount front derailleur, and refined cable routing. This is exactly the same frame Kona Team riders Barry Wicks and Kris Sneddon used to win the BC Bike Race three years running. "Think of it as a no-nonsense race machine that could work for everyone from a weekend warrior to a full-on pro." DirtRag Magazine, USA.